Shark's compact 2 in 1 powered lift away upright vacuum with a detachable canister for portable cleaning and our first upright with duo clean technology with the touch of a button, powered lift away technology allows you to lift the canister away and deep clean hard to reach areas while still delivering power to keep the brushroll spinning, while the duo clean two brushrolls system works in unison to remove the three types of dirt from your floors and carpets: large, small and stuck-on particles. Armed with Advanced Swivel Steering and powerful LED headlights, this vacuum has a completely sealed system with a HEPA filter to trap dust and allergens. The Fingertip Controls allow you to easily switch between hard floor and carpet mode. 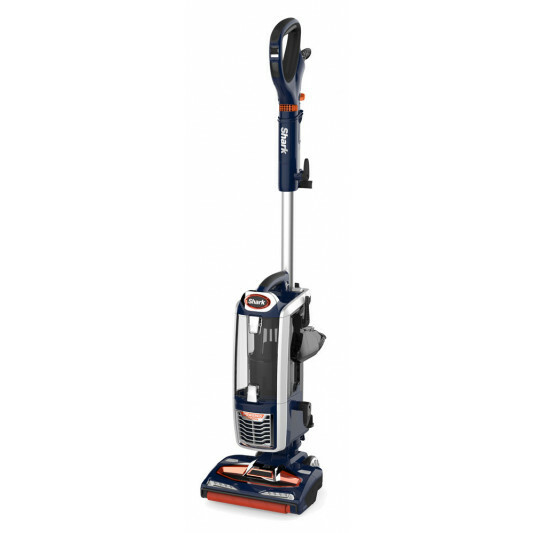 The Shark NV800 Vacuum was added to the Vacuums category in March 2018. The lowest price GetPrice has found for the Shark NV800 Vacuum in Australia is $499.00 from Bing Lee.